I enjoy history, poetry, science fiction, mystery and urban fantasy. For all the problems with this book of which there are a fair number I really enjoyed it. It was the perfect read for when I was sick and didn't want a complex story line or one rife with feats of daring do. I wanted and got a mellow, slowly developing origins story in the werewolf genre. There are grisly murders and family drama all with an undercurrent of tension that always accompanies the discovery of the "supernatural" but it was written in such a lilting way that it was in to way jarring to my ailing senses. 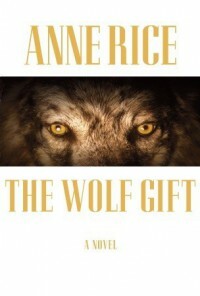 I really enjoyed Anne Rices style and ability to create such palpable atmosphere simply with words. I liked Reuben - he wasn't an idiot with his "powers"; was secretive only when it was obviously necessary and forthright otherwise. Evil Scientists is such an irritating trope and I wish she hadn't succumbed! I don't think the Reuben/Mom relationship was as well realized as the Reuben/Dad relationship was. And then there's Laura. Some may call her a Mary Sue and maybe she is but that's not my problem with her. I didn't care for the immediacy of the intimacy; it stank of what in young adult literature is called insta-love another trope I wish Anne Rice had avoided.